← An Introduction to the Main Man – Costanzo! 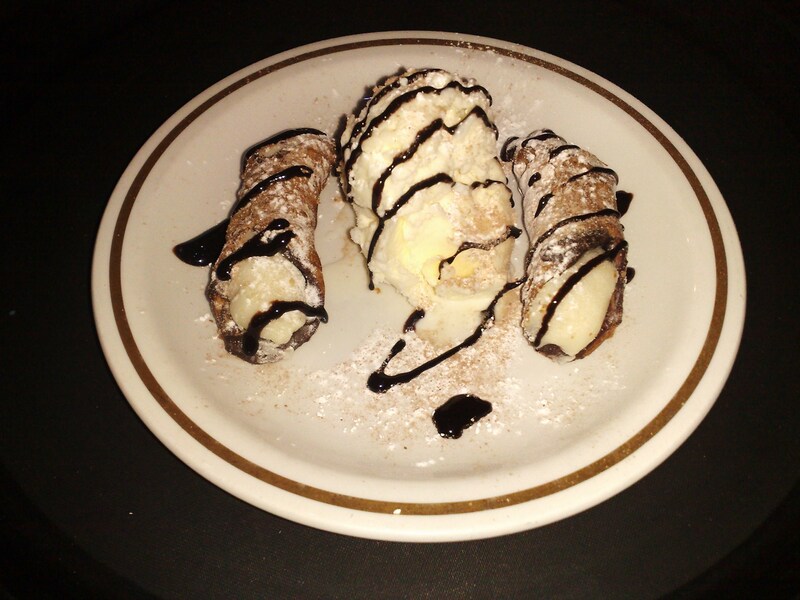 Cannoli alla Siciliana, Italian Ice Cream and Hot Chocolate Sauce anyone? Here we have another favourite from our sweet menu – Cannoli alla Siciliana served with the best of Italian Vanilla Ice Cream, drizzled with Hot Chocolate Sauce and light dusting of chocolate and icing sugar. This is heaven on a plate for those of you with a sweet tooth (i.e. me) and it has proved popular on our menu since we introduced it last year. For those of you not familiar with Cannoli, they are light, crisp pastry filled with mascarpone, candied fruits and chopped pistachio. Although traditionally a Sicilian dish, Cannoli are extremely popular in Italian-American cuisine with different variations on the original recipe in existence. They are not so well-known in Britain and when customers ask what they are, Costanzo will launch into his “Godfather” story! For people worried about their waistlines, yes, there are calories involved here but….that is offset by the inclusion of the candied fruit which in my book constitutes as part of my five a day! As the saying goes, a little bit of what you fancy does you good! Enjoy!